Where in the UK is the world of Harry Potter? 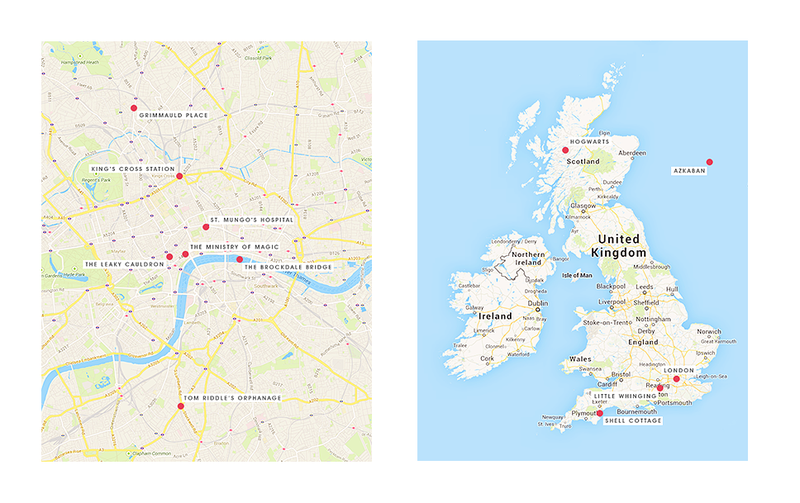 From ofabeautifulnight on tumblr come these maps of the United Kingdom and London, pinpointing the exact locations of many of the places mentioned in Harry Potter. If you were wondering just how far Harry had to go to get from Little Whinging to Hogwarts, this is your reference guide.